Brussels Environment is the environment and energy administration of the Brussels Capital Region. Belgium’s capital region has established an ambitious climate and energy strategy with goals to reduce its CO2 emissions by 20% until 2020 and by 30% until 2025. 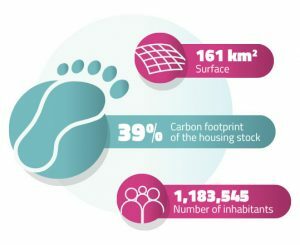 As its building stock is responsible for as much as 70% of the region’s energy consumption, Brussels Environment has been very active in promoting energy efficiency in the residential sector, as well as facilitating the sustainable construction market and offering its expertise in large-scale development of sustainable renovation and construction technologies. The specificity of Brussels’ construction market is that it is almost exclusively orientated towards renovation. Consequently, when effectively seeking to reduce energy consumption, political action should focus on facilitating energy retrofits, as regulations for high energy performance in new constructions alone are largely insufficient to achieve the region’s objectives. In this perspective, Brussels Environment has launched a number of initiatives targeting energy refurbishments for homeowners, such as setting up the Energy Agency Homegrade in 2012 which provides technical and financial assistance to landlords and tenants of individual housing, or through the Brussels Green Loan which offers a low-interest financing opportunity for homeowners undertaking energy efficiency renovations. Additionally, other actors providing complementary services exist, such as Réseau Habitat an independent network of 9 local non-profit organizations offering energy refurbishment advice to homeowners. Despite this sophisticated network in favor of energy efficiency in the residential sector already being in place, most of the existing services and financial incentives target single-family homes, while large condominium buildings are currently not being addressed. For this reason, the opportunity for significant energy savings in co-ownerships and condominiums has so far remained mostly untapped. Brussels Environment is now determined to change this situation by becoming a partner to the INNOVATE project. 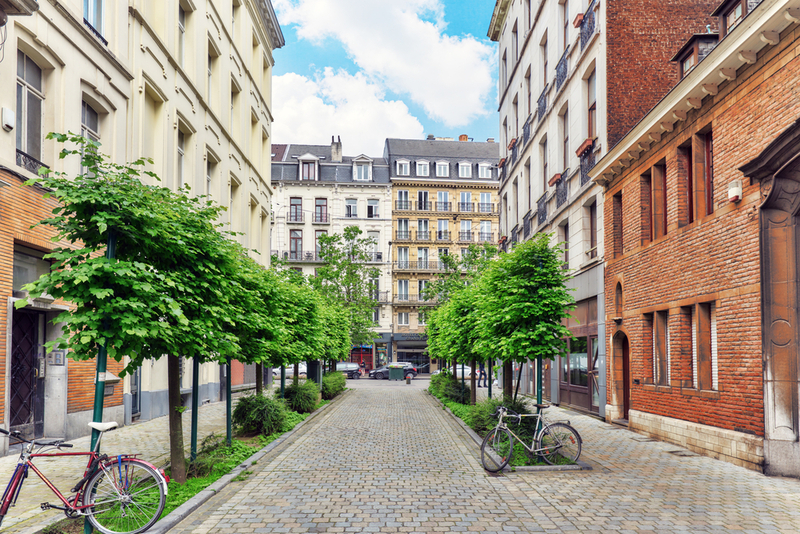 Political will in this regard has already been mobilized by integrating an approach for condominiums into the Brussels Capital Region’s new renovation strategy at the horizon of 2050. Given the important number of existing services and actors operating on the market, Brussels Environment will focus on upgrading, harmonizing and completing these services in order to provide attractive and holistic offers for energy retrofits in condominiums which take into account the particular challenges this form of housing presents. Other than the high costs of energy refurbishments which constitute a barrier in all building types, the complex ownership structures present in condominiums add difficulties in terms of decision-making in co-owned properties and in terms of the heterogeneity of attitudes between owners concerning energy matters and the benefits of the renovation. On the other hand, reduction of energy costs achieved through retrofits is an important driver for many homeowners in Brussels as income is lower than in most other Belgian municipalities and energy bills are high, resulting in a growing problem of energy poverty in the region. Apart from the financial aspects, the motivation of homeowners to undertake energy refurbishments is largely based on social and psychological factors, which must be accounted for and catered to when marketing energy efficiency services. 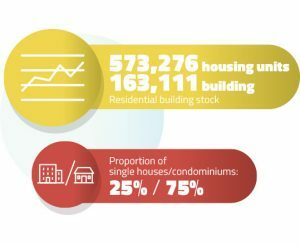 This is why Brussels Environment is planning to offer a supportive presence for condominium assemblies to facilitate decision-making in favor of retrofits, as well as a communication campaign which includes a personalized and proactive contact with the target audience. The aim of the region under INNOVATE is to set up a specific One-Stop-Shop service for condominiums and co-ownerships able to inform and help the building managers and co-owners on technical, legal and financial matters, as well as bringing a real added value in terms of relations, communication and exchange of information between the people involved in the renovation project. The One-Stop-Shop will be composed to one part of an interactive webpage offering digital tools including building quickscans, an investment calculator, templates for contracts and other documents, and a support for analyzing quotations. The service dimension of the One-Stop-Shop will be provided in the form of a hotline through which citizens can receive free-of-charge advice, as well as make appointments for building audits and guidance meetings. The service will be developed on the basis of Brussels Environment’s existing service ‘Le Facilitateur Bâtiment Durable’ which shall be upgraded to include specific expertise in the area of condominiums. As a result of its actions, the region is aiming to increase the annual renovation rate of multi-family houses to 3% by 2030, with renovations that improve the energy performance standards of the buildings to range between A and D.
In order to follow up on the attainment of these goals and on the quality of the performed works in terms of energy performance improvement, monitoring services are an essential element of the One-Stop-Shop envisioned for Brussels. The entire renovation process can take up to four years to be completed, meaning that such a service must be capable of accompanying the homeowners over a sufficiently long period of time. The one field where the region sees the necessity to develop new innovative products rather than simply expanding existing ones is access to finance. As high costs and availability of financial resources are the major barrier to energy refurbishments, Brussels Environment is seeking out cooperation with private stakeholders to develop effective financing products. To fill the existing gaps on the Belgian market, the region is counting on the mobilization of private companies and the non-profit sector, which it wants to win over to update existing services in line with the project by reinforcing public-private partnerships and collaborations. Through coordination of the many different stakeholders, Brussels Capital Region can offer its citizens access to trustworthy building professionals, increasing confidence into their decision to renovate.